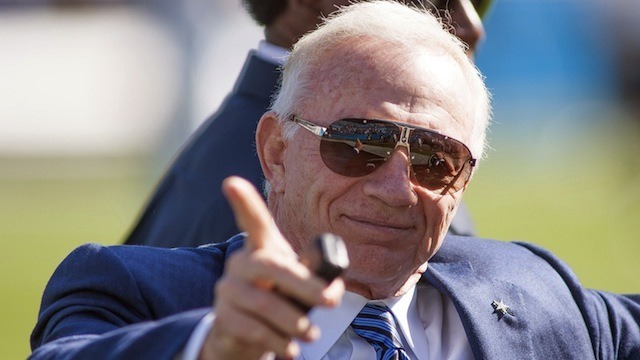 ARLINGTON – Jerry Jones will outlive us all. Some wonder if Jerry Jones is slowing down. He’s 70 years old. But the Dallas Cowboys owner insists he is as mentally sharp as he was when he bought the team in 1989. This has always been a working theory around these parts, admittedly rooted in a gut feeling rather than tangible medical evidence. But now … now we have something to work off. 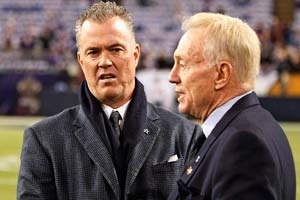 The Dallas Cowboys owner received some very unusual news during a recent visit to the doctor. He shared said unusual news with the media. The doctor convinced him he has the perspicacity of someone nearly half his age. Jones remains confident in his abilities to manage the organization and earn another Super Bowl title. “I know more about what I’m doing than hopefully I did 25 years ago,” he said, referring to the time he entered the NFL as an owner. By promoting Jerry’s 40-year-old brain and Stephen’s secret sauce this week, the Jones Family seems to think the Dallas Cowboys have what it takes to return to glory. IRVING — What’s going to make the Cowboys better than 8-8 this year? The “secret sauce,” says executive vice president Stephen Jones. Answering a question from reporters about whether his father, owner Jerry Jones, hears criticism, Stephen said it is motivation. The sauce includes making the playoffs, and Stephen was asked if the Cowboys’ record will be better than 8-8. Stephen said his father still has a drive to work and succeed, even at age 70.